Home / Recipes / Recipe: Delicious Chicken Pie – Easy and Child-Friendly. 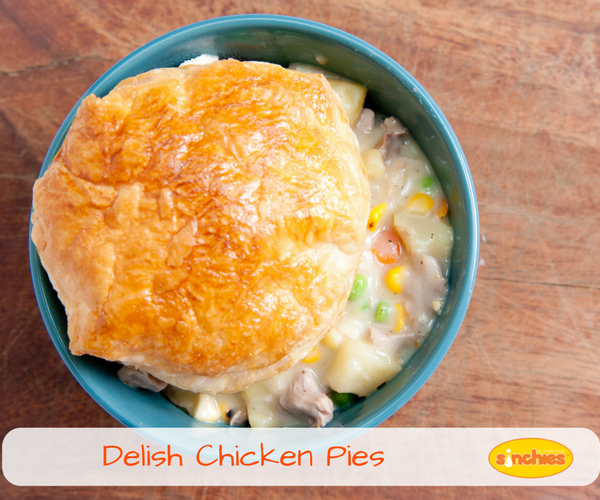 Recipe: Delicious Chicken Pie – Easy and Child-Friendly. Pies make a great dinner and any left-overs can be used to fill up your litter-free lunchboxes. Make a batch of small ones or make one large pie and slice up for your family. So many options! In a frying pan fry the onion until transparent. Add garlic, chicken mince & fry until the chicken is cooked. Add the flour, chicken stock, cream, corn, carrot and mustard. Simmer gently for about 15 - 20 minutes until the carrot is soft. Season to taste and leave the mixture to cool. Once cooled, fill your pie shells as you normally would. Next post: Are you a Vegetable Smuggler?